Dr. Charles Schleien is the Chairman of the Department of Pediatrics for the Steven & Alexandra Cohen Children’s Medical Center and Professor of Pediatrics at the Donald and Barbara Zucker School of Medicine at Hofstra/Northwell. He is past Executive Vice Chairman of the Department of Pediatrics at the Columbia University College of Physicians & Surgeons as well as Professor of Pediatrics and Anesthesiology. 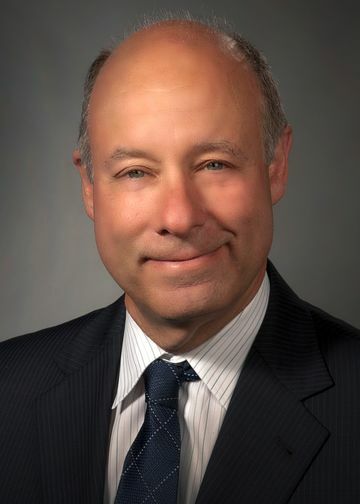 Prior to that, he was Director of the division of Pediatric Critical Care Medicine, which he founded on his arrival to Columbia in 1999, and served as medical director of the Pediatric Intensive Care Unit at the Morgan Stanley Children’s Hospital of Columbia University. Dr. Schleien attended the Mt. Sinai School of Medicine, completed his pediatrics residency at Texas Children’s Hospital, and his anesthesiology residency and pediatric critical care medicine fellowship at the Johns Hopkins Hospital where he remained on the faculty as Assistant Director of the Pediatric Intensive Care Unit and was NIH funded for his research in brain metabolism, brain resuscitation and CPR. He directed the Critical Care division at the University of Miami where he led a major research effort in brain resuscitation. He was a longstanding member of the American Heart Association-Emergency Cardiovascular Committee instrumental in formulating the international pediatric guidelines in CPR. He has been honored with prestigious fellowships from the Society of Critical Care Medicine as well as the American Heart Association. He received his MBA from the Columbia Business School in the Spring 2008. He lives in New Rochelle, NY with his wife Debbie and has two sons, Eric and Zachary. Dr. Schleien has a long history of research in cardiopulmonary resuscitation where he developed the first infant model of CPR in a porcine animal model published in Circulation in 1986, followed by numerous publications on drug effects, brain blood flow and metabolism as well as mechanics of CPR. He has remained active in clinical trials, publishing in the realm of pediatric CPR and the recent Hypothermia study following cardiac arrest in children. He has also published on areas of clinical bioethics in children as well as other critical care topics. Schleien CL. “Intracranial pressure: A role for a surrogate measurement?” Pediatric Crit Care Med. Sep 2010; 11(5):636-7. Schleien CL. “Cytokines and hypothermia: Harmful or helpful?” Pediatric Crit Care Med Jan 2010; 11(1):157-158. Baird JS, Killinger JS, Kalkbrenner KJ, Bye MR, Schleien CL. “Massive pulmonary embolism in children.” Journal of Pediatrics. Jan 2010; 156(1):148-51. Moler FW, Donaldson AE, Meert K, Brilli, RJ, Nadkarni V, Shaffner DH, Schleien CL, Clark RS, Dalton HJ, Statler K, Tieves KS, Hackbarth R, Pretzlaff R, van der Jagt EW, Pineda J, Hernan L, Dean JM. “Multicenter cohort study of out-of-hospital pediatric cardiac arrest.” Pediatric Emergency Care Applied Research Network. Crit Care Med. Jan 2011; 39(1):141-9.